The GRE backhoe is mounted on to the tractor by the 3-point linkage. 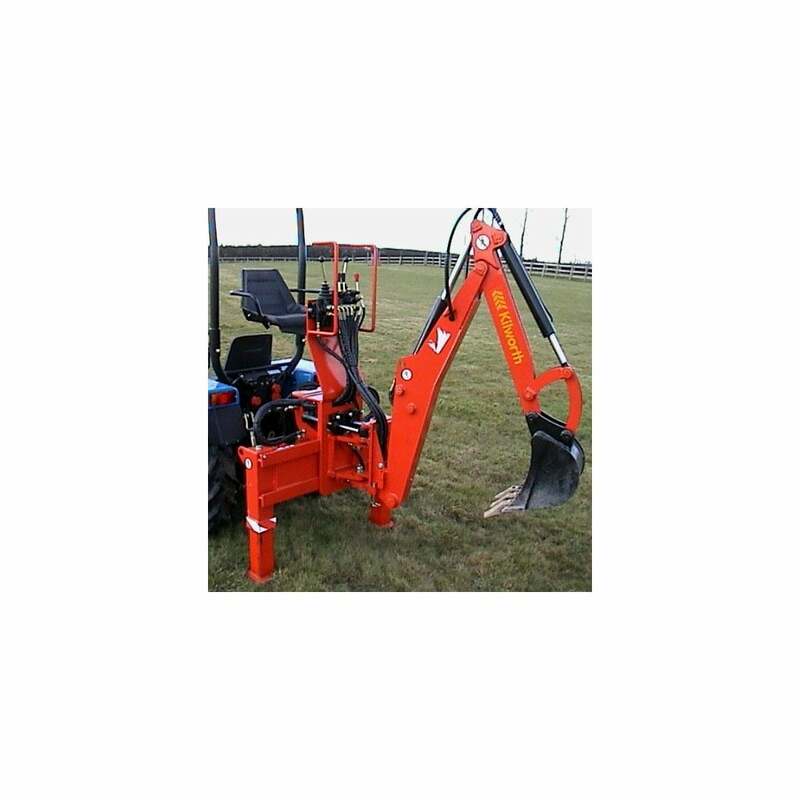 It does not have bolt on fixing brackets as with some types of backhoe which enables the backhoe to be removed from the tractor quickly and easily so freeing the tractor for work with other implements. It is used widely for landscaping and general estate maintenance. The GRE 19 and 23 models have a side shift frame with manual locking. Hydraulic locking is an option. The GRE backhoes must not be fitted to the tractor without a mechanical locking device on the 3-point linkage. This prevents the linkage from moving upwards when the bucket is pushed downwards. This locking device can be supplied for all makes of tractor. The GRE-15 has a digging depth of 1.5m, the GRE-19 1.9m and the GRE-23 2.3m.